Nokia unveiled its latest edition of premium phones, the 8600 Luna, and also reaffirmed its leadership in driving the benefits of third generation technology to mid-range markets with the announcement of two other new handsets, the Nokia 6500 classic and Nokia 6500 slide, in a stylish press event, held at The Westin, Langkawi, Malaysia, on June 1 comprising of international journalists from the Asia Pacific region. “8600 Luna is for people who enjoy the finer lifestyle. It is definitely not a fashion phone; rather it caters to our premium consumers who are design conscious; while 6500 classic is individually polished with elegant curve edges, slim but strong. And the 6500 slide features a 3.2 mega pixel camera with Carl Zeiss optics and the ability to easily share pictures, videos and even video calls on a television and is certainly for tech savvy people,” says Alex Lambeek, Vice President, Mobile Phones Sales and Portfolio Management, Asia Pacific, Nokia while enthusiastically describing the three launch products. The 8600 Luna true to its namesake, the goddess of moonlight, Luna who was often represented by the Romans as a mysteriously captivating beauty encircled in a soft, yet radiant light, has been engineered from opaque smoked glass with unique, soft-touch stainless steel, making it as enchanting to behold as it is a joy to touch. Adding to its mysterious allure, a gentle keypad illumination pulsates from beneath the glass case while the phone awaits a call. Combined with the warmth of its glass and stainless steel body this heartbeat transforms the Nokia 8600 Luna from an inanimate object into a trusted companion with an organic, virtually alive form. Nokia's first use of a single micro-USB port not only allows for a streamlined design free of extraneous indentations, it allows owners to streamline common activities- like charging, audio and data connectivity- into a single connection. Quad-band GSM support also allows owners to easily stay connected while they are on the road, while the large, bright display is perfect for sharing images captured with the 2-mega-pixel camera. “Luna has all the luxury but doesn't need all the technology. It is a unisex phone made from glass and stainless steel with the right tone for the right person. 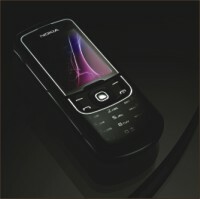 It's more for people who want to feel the technology and love to draw attention,” says Anita, Head of Experience, Nokia. 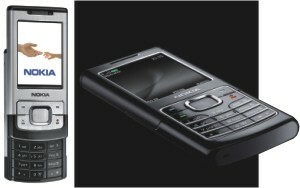 The Nokia 8600 Luna is expected to hit the market by the end of this month and will also be available in Bangladesh. The Nokia 6500 classic, instantly recognisable by its seamless case crafted from 360 degrees of anodised aluminium, is a 9.5mm thin statement of unsurpassed attention to detail. Each Nokia 6500 classic is individually polished, ensuring that no two phones are exactly alike, while diamond polishing used on the beveled display aperture and cold stamped logo demonstrate the highest levels of craftsmanship. This slimmest phone from Nokia is going to be available in black and copper and has already become the favourite and topped the chart among the three. Featuring dual band 3G technology for fast and easy downloads and browsing and quad-band GSM for worldwide roaming, the Nokia 6500 classic delivers state-of-the-art connectivity options for the most demanding of customers. A full 1GB of internal memory means that the Nokia 6500 classic has capacity for far more pictures, videos, contacts, songs, messages and other content than the vast majority of other mid-tier mobile phones. 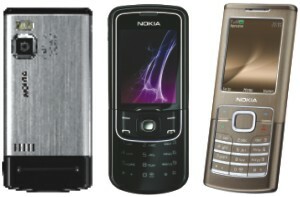 The Nokia 6500 slide is simply a tool for the Internet savvy, technology savvy people, where multimedia is made easy. The slide looks good and has a techno feel to it making it a lucrative object for the younger generation who value appeal. The slide brings unsurpassed levels of imaging and sharing to the mid-range market. Additionally this model delivers a refined tactile experience with its elegant brushed stainless steel finish and smooth slide mechanism. The 3.2 mega pixel camera with Carl Zeiss optics found in Nokia 6500 slide marks the first time that mid-range camera phone consumers have been able to experience the outstanding imaging capability of Carl Zeiss optics. The addition of auto focus, a dual LED flash and 8x digital zoom optimises the Nokia 6500 slide for creating high-calibre images. Using the speed of 3G technology, these images and videos can be quickly shared with friends around the world, while the TV-out jack allows them to be instantly viewed on any television with standard RCA inputs. The TV-out feature can also be used to allow an entire group of people to simultaneously enjoy the fun of video calling. Fashioned to stand apart from the crowd, the Nokia 6500 slide incorporates a number of design elements not often found in mid-range devices. Ensuring that the sophisticated brushed stainless steel body retains its timeless beauty, a unique hard coating helps to prevent scuffs, scratches, and even fingerprints. Precision engineering of the slide mechanism means that the Nokia 6500 slide feels solid in the hand, yet moves with a smooth, fluid action to create a decidedly upscale user impression. Both these sets are expected to be available during the 3rd quarter of 2007. Amazingly enough Nokia finds the Asia Pacific region a lucrative market simply because the consumers here are willing to try. “Asia market is a youth market that is willing to try and spend money. Asian consumers are techno savvy people who want to feel the experience and always craves for the latest and the greatest gadgets and this fascination never lasts for more than six months,” says Lambeek. To feed the imagination of these consumers Nokia makes it their job to address and cater to all consumers liking, “the demand differs from market to market but the idea is to keep the consumers happy, the next big thing is gaming and GPRS navigation, and with Internet and mobile TV we expect to keep our consumers busy for a while,” Lambeek adds. What you can do on the Internet should be done on the mobile phone. Mobile phones are now looked upon as stand alone devices with unlimited options and are no longer considered as a tool to press only the 'yes' button and talk.